We have the most up-to-date local listings including those that the national sites don't have access to. The perfect home is something different for every client. The Amy Stockberger Team of talented Sioux Falls realtors is committed to helping every client find their dream home, and we put our money where our mouth is. Our convenient New Listings Alert Program, designed to help every buyer find suitable Sioux Falls homes for sale, is available absolutely FREE, as are services for all MLS listings. 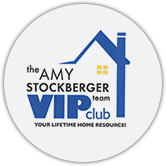 If you want Sioux Falls real estate agents who are passionate about putting you in the perfect home, you’ll love the personalized home buying experience offered by The Amy Stockberger Team. Simply send us a wish list and we’ll deliver matching properties, often before they’re even listed. The Amy Stockberger Team has been a Local Best Winner since 2009. 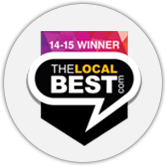 The Local Best starts with local people voting for their favorite places and their favorite businesses in more than 200 categories in a secure, online survey. Only local votes count, because locals know best which businesses really stand apart from the rest. Voting is open year round and each category can have up to five winners. Click the link below to vote for The Amy Stockberger Team as your favorite real estate agent! In 2015 we rolled out a new rewards program for our loyal VIP clients that have helped us grow our business! We are offering free checkout of items from our storage shed plum full of specialty tools & party equipment, limitless use of office services, referrals to our network of preferred vendors & free use of our very own moving truck. Questions, want more information, want us to follow up with you?